The Band/Orchestra Program had the most sales of all groups participating! Over $11,000 in tickets were sold by a total of 72 students. Several of them will be able to apply a good amount of money towards their Ireland trip and other expenses related to the Instrumental Music Program. We are ordering new parent shirts and jackets. They will not be group specific, but as the entire Instrumental Music Program. The new logo will be embroidered on the left chest side. We are still taking orders! Please click on the link and fill out the form. Please send a check made payable to “LCHS MPA” and place in the black locked box in the band room. The LC Spartan covered the Fall String Concert. Click here for their write up. Click here for the video of the performance they posted. Photographer Charles Frey was at the Ayala field show. He has put up photos from our school for purchase if you’d like to. Please go to this link. 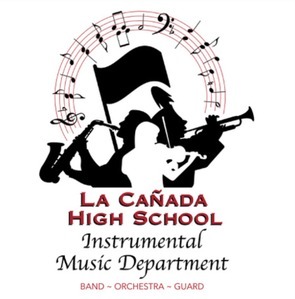 Due to the likelihood of the auditorium not being available during class time on the day of the concert, Ms. Munday is asking that everyone be ready to play, seated, in your place with music and instrument at 6pm. Thursday morning (tomorrow) during 0 period is our Halloween Breakfast for all Fall Concert performers, 7/8 & 9-12! No instruments are needed on Thursday, but be ready to start rehearsing for our Winter Concerts on Friday! If possible, please bring the items you signed up to donate for the breakfast to the concert tonight and place them on the table in the foyer of the auditorium. Thanks in advance to everyone for their donations, the students always enjoy yummy treats! See you at the concert tonight in the LCHS Auditorium at 7pm! Please have your instrument and music and report to the auditorium stage. Please come support our Advanced and 7/8 Orchestra students in their first concert of the year! It’ll be a fine evening (in air conditioning) of wonderful music — and some spookiness too!